According to the iCloud support pages, users of the service experience disruption from 12:45 AM to 1:45 AM Pacific Time on 12/16/2011, but as of 3:18 AM, normal service has been restored. Ipodnn noted that they didn't think the status page was updated during the outage, which may have left some users confused, and definitely defeats the purpose of having a status page in the first page. Apple needs to get these iCloud issues solved. i have a feeling someone is going to backup all their data in the cloud, try to restore their phone, and it wont work. Im not trolling, im just worried about iPhone users could find themselves in a tough spot. They're working on it. Be patient. But that's technology. Hell, that's the world we live in. Whether it's digital or physical, nothing is 100% reliable and we have to remember that, especially in the digital world. 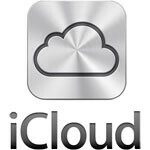 iCloud, just like every cloud service, will refine itself more and more as they push forward. Same with any cloud service. The smart thing to do, no matter how advance the technology gets, is to have a back up in more than one place. I trust iCloud, but I also make a back up on iTunes just in case iCloud can't retrieve my information. And I wouldn't worry too much about iPhone users. Like most smartphone users, half don't know what iCloud is, let alone backing their phone up. I could make a same dumn comment about ICS and android. and with a few example of course. But I don't waste time doing that.